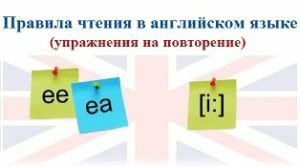 Тексты на английском языке (intermediate) по теме "House. Home"
Conway, a small town on the north coast of Wales. There is much evidence of the past here. Just look at the old walls surrounding the town, its twenty-two towers and three gates. The castle is a masterpiece of medieval architecture and is one of the most complete in Europe. But one of the biggest tourist attractions in Conway is small in size: it’s less than 3 metres high and 1.5 metres wide. 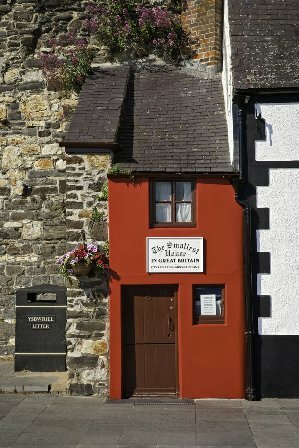 It’s the Smallest House in Great Britain. Now, if you take a closer look at it, you may start to wonder how it was possible to live in it. To find an answer we have to go inside. The cooking was done here – in this tiny fireplace. In this small kitchen, there is hardly any place to sit apart from the little round table. Even the water tap is hidden behind stairs. Let’s have a look at the bedroom now. Only a tiny bed, a small dressing table and a washbasin. It’s not very comfortable. Why don’t we have a look outside once more? In the nineteenth century, the house was considered unusual, although it was a normal place to live. In 1900, the local authority decided to send representatives to check the condition of the house. When the inspectors came, the owner said to them, ‘I’m afraid I shall have to step outside so that there will be room for you inside.’ Eventually, the decision was taken to demolish the house. Fortunately, it was saved by the editor of the local newspaper who pointed out that this was the smallest house in the country. Now, it’s still here, with its red-painted front and its landlord dressed in traditional Welsh costume. It’s open to tourists from all over the world. Just remember – when you step in, don’t forget to lower your head! Do you think that America is a new country? Go to Virginia or Maryland or New England. You will find a lot of old buildings. You will find old towns and villages, churches and houses. Three centuries ago, when the Europeans came to northeastern America, they lived in simple huts. But, later, they built houses in the styles of their home countries. The Dutch built tall, narrow houses along the Hudson River. The French on the St. Laurence River put windows in the roofs of their houses, and made fine, wooden shutters. The English built houses with warm, red-colored bricks, or white painted wood. The largest number of new Americans was English. So the first towns of Virginia and New England copied English towns. The houses were square, and they had beautiful long windows. Americans still love this «colonial» style of house. There are many old colonial houses in the Northeast of the U.S. Williamsburg, Virginia, is a famous colonial town. Now it is a museum. All the houses and shops are open to visitors. 1) What houses do the Europeans build in the USA? 2) What was the Dutch style of building houses? 3) How did the French build houses? 4) What did the English build houses with? What did they look like? 5) Why did the first towns of Virginia and New England copy English towns? 6) Where are there many old colonial houses? 7) What town is a museum now? The task: Be ready to talk about what you have learnt from the text. The Dunes’ House was sixteen miles outside of Burlington, a narrow road was the only access to the property. We took a bus to get there. The bus turned off the main road before we reached the road to the Dunes’ home, so we had to walk the last two miles. We stopped at the gate to the private road leading up to the Dunes’ home. We sat on the rock and surveyed the peaceful surroundings. This place was so quiet, so beautiful. We turned up the drive and slowly climbed what we hoped would be the last mile to the house. Soon we were out of the forest and came into a clearing, so we could see the house across a broad expanse of lawn. It was an unusual house for the area. Instead of being one story high and spread out across the lawn, this one was compact and rose like a tower on the hill. From the windows you must have a view of the entire valley. It was a two-storied building with an attic. Its brick walls were plastered and whitewashed. It had a red tile roof and a deep veranda which ran along its front. There was a gravelled driveway to a two-car garage which was to the right of the house. One could see a wonderful orchard with blossoming apple-trees and a small vegetable garden near the house. Nobody was in sight. So we climbed the low concrete steps and rang the entrance door bell. 1. Where was the Dunes’ house situated? 2. Was it possible to get there by bus? 3. Was it a usual house for that area? 4. What view can one have from its windows? 5. What can one see around the house? 6. What was the house built of? 1. We had to walk the last two miles to the Dunes’ house. 2. This place was so quiet and beautiful. 3. It was a compact building and rose like a tower on the hill. 4. The windows faced the entire valley. 5. It was a two-storied building with an attic. 6. A two-car garage was to the right of the house. 7. There was an orchard and a vegetable garden near the house. 8. We climbed up the steps and rang the door bell. This entry was posted in House & Home.